Drake’s “In My Feelings” is blasting from speakers, popsicles are being passed around, and Gould Street is more crowded than usual. It’s Clubs Day at Ryerson, which is held every first Wednesday of the school year, giving new and returning students a chance to join groups that interest them. However, walking by all the tables and booths, it does not take long to notice a common denominator between a lot of the student associations – most of them are, in some way, affiliated with a religion or culture. In other words, they’re identity based. From the Hellenic Students’ Association to the Serbian Society of Ryerson, it seems that most students are represented on the club registrar. The tables are decorated with different foods and flags that represent respective faiths or countries. Hillel, Ryerson’s Jewish student association, is giving out apples and honey in celebration of the high holidays, and the cleverly named Union of Students Speaking Russian has photographs of nostalgic soviet cartoons. It’s no secret that Ryerson’s campus is a diverse one, with students coming from countries and religions all over the world. Out of the 85 official student associations listed on the Ryerson Students’ Union website, over 40 of them are associated with some sort of ethnicity, religion or culture. This raises the question – what is it about identity-based clubs that appeal to so much of Ryerson’s student population? The article will continue after the multimedia. Taryn Grieger, a psychology professor at Ryerson who teaches a course on community psychology, says much of this has to do with the fact that students from the same background are able to bond over their shared experiences. The shared experiences, says Grieger, are what really create bonds between students. As a result, there is more of a draw to these types of ethnic and cultural groups and, therefore, there are so many groups. Students gather in front of the St. Michael’s Cathedral for the annual welcome back barbecue, hosted by the Catholic Students’ Association. Courtesy of Ryerson Catholic Students’ Association. Blue and yellow party decorations hang in the courtyard of St. Michael’s Cathedral Basilica at 200 Church St. The annual welcome back event, run by the Catholic Students’ Association, was bustling with students of all backgrounds, and the smell of hamburgers being barbecued lingers in the air. Daniel Shtein, a fourth-year government and politics student, walks around the courtyard, engaging in conversation with new and old faces. Although he has been coming to their events since first year, this is Shtein’s first time being involved with the Catholic Students’ Association executive team, serving as the vice president of administration and finance. Shtein chose to become more involved in his fourth year, because he wants to give back to the community that he feels has added so much to his university experience. The student group, which has a space lent by the Toronto archdiocese, is welcome to students of all faiths and backgrounds, and many non-Catholic students have become constant visitors to the cathedral. Shtein says the diversity and vibrancy in the Catholic Students’ Association is his favourite part of the group, because it allows students to engage in meaningful conversations with those who have different beliefs and opinions. With the recent scandals involving the Catholic church, Shtein says there are a lot of misconceptions people have about Catholicism and, as a result, many Catholic students are afraid of talking about their faith openly. Having a space where such students can go to and speak with like-minded individuals allows them to feel a sense of togetherness and safety, ultimately helping the community flourish. Such an experience, Shtein says, typically cannot be offered in a club that is based on mutual interests. Hillel Ryerson co-president Geoffrey Handelman stands at the Hillel table on Clubs Day. Courtesy Hillel Ryerson. Geoffrey Handelman, 21, walks into the sunny Ryerson Hillel loft that overlooks Yonge and Dundas Square and is immediately greeted with a full room of smiling faces. People are snacking on bagels, sitting on the blue and yellow swing in the middle of the room and catching up on their work. Handelman, who is a student at the Ted Rogers School of Management, remembers his first day at Hillel – a welcome back lunch during his first week of university. This day is still clear in Handelman’s mind. He was approached by one of the student presidents who introduced him to other people in the loft. Though Handelman says he was a bit anxious, it was the beginning of a very positive experience. Now in his third year, Handelman is serving as Hillel’s student co-president for the second year in a row. “I knew about Hillel well before I came to campus and I knew that it was something that I wanted to get involved in from the get-go, because I knew it was a very warm and welcoming community,” he says. Handelman says being the student president has not only helped him meet new people and expand his network, but has also allowed him to give back to his community and help enhance the university experiences of his peers. The fact that Hillel has a space for students to come together is also an important aspect, says Handelman, because so many students are commuters and this allows them to spend time together between classes. He says clubs that are affiliated with religious or cultural groups tend to bring people together on a much more meaningful level, as opposed to groups that just focus on mutual hobbies. Communities thrive when they are working and spending time together, says Handelman. He also believes having ethnic and religious campus groups are very important for students, who are looking to meet new people and become more involved at Ryerson. 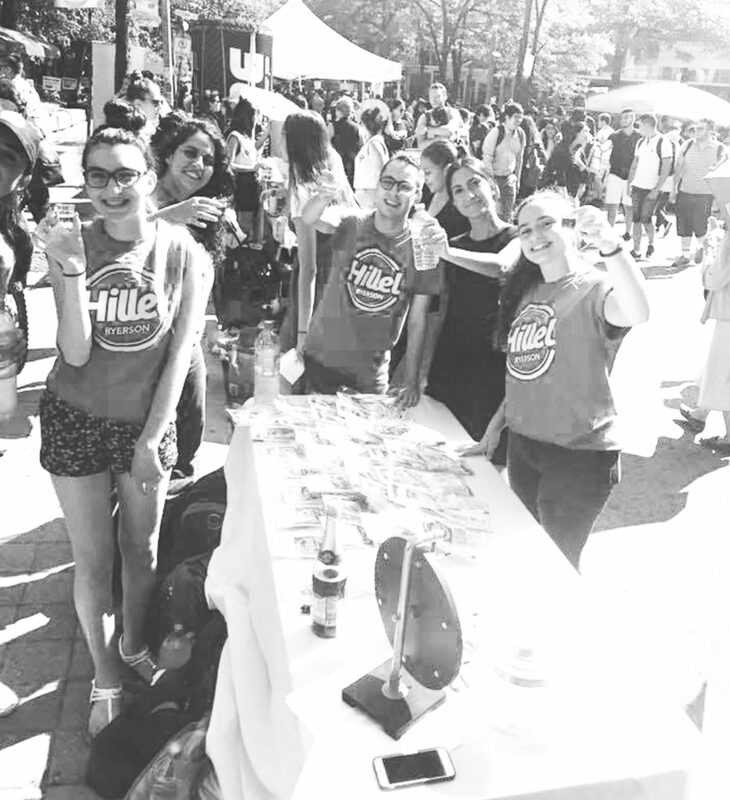 Much like the Catholic Students’ Association, Handelman says that Hillel provides a safe space for students on campus, where they are able to be themselves as well as celebrate their religion without fear of judgement. “Come get some Filipino food! Four pieces for $3, that’s less than a tall Starbucks drink!” shouts fourth-year student Hannah Purugganan, the president of the Filipino Canadian Association of Ryerson (FCAR). 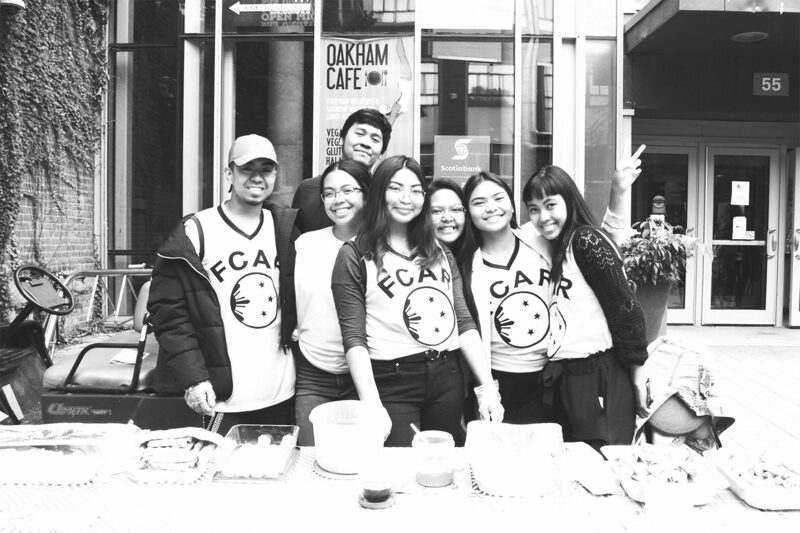 The student group’s executive team was standing outside of the Student Campus Centre (SCC), selling homemade Filipino food in order to raise funds for events they want to host this year. 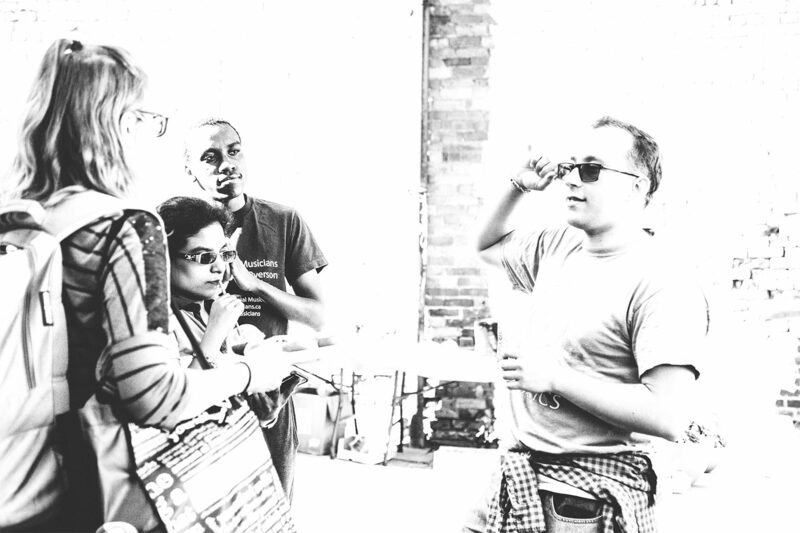 Purugganan first learned about FCAR when she was in Grade 12, from her uncle who had actually founded the student group with his friends back when he went to Ryerson. When she saw their table at Clubs Day in her first year, she approached them and was welcomed with open arms. Unlike Hillel and the Catholic Students’ Association, the Filipino Canadian Association at Ryerson is an ethnic-based student group. However, this shared cultural background has allowed Purugganan and her peers to bond with people over food, music and other issues that affect their day-to-day lives. Students from all sorts of backgrounds have joined this student group, and their events are a place where Filipinos, and those who appreciate this culture, can come together and celebrate it. While on the surface, these groups may only seem similar because of their religious and ethnic ties, deeper is the fact that they are safe havens — a place to make friends with common interests. “Identity clubs provide a community, because outside of an interest, it’s a place to be at and it’s a person to be. In a sense – it is a home away from home,” says Shtein. With Ryerson being a commuter school, these groups and spaces provide the foundations for friendships and camaraderie, surrounded by those with similar stories and backgrounds and a place to study and hang out.